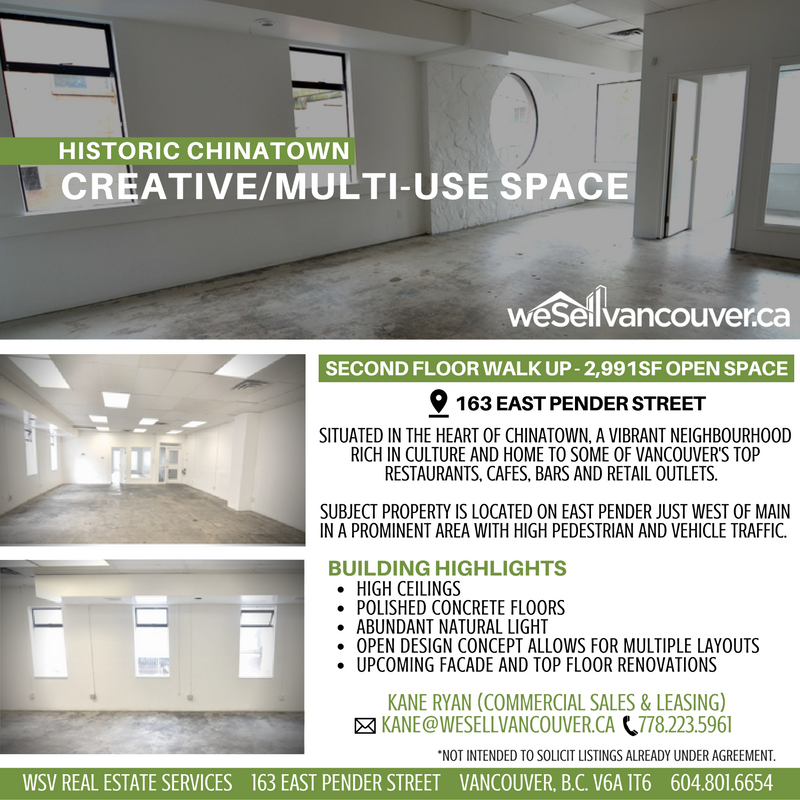 The second floor of our building in the heart of Chinatown is FOR LEASE! The floor space currently has renovations underway as it is being opened up for an open design concept. Facade renovations will be commencing momentarily to give the building a face lift! Contact Kane Ryan at 778-223-5961 for showings.